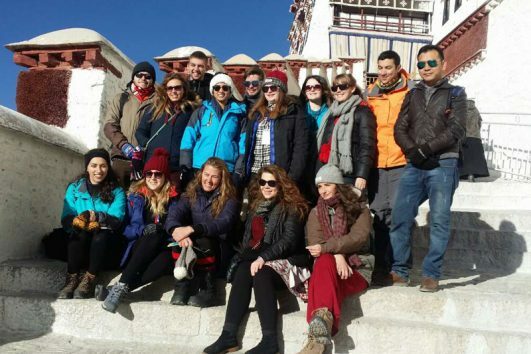 4 Days Tibet tour include 4 Days Lhasa tour and 4 Days Everest tour. For 4 Days Lhasa Tour, you can visit mus-see attractions in Lhasa, Potala Palace, Jokhang Temple and Barkhor Street. Besides, we will go to Drepung Monastery and Sera Monastery to view the two Gelugpa monasteries. 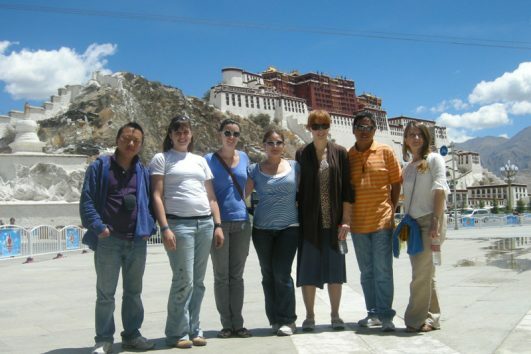 And our Tibetan tour guide will provide you with imformative instuctions about Tibetan history, culture, Buddhism and etc. So, this is a culture theme tour. For people who want to see Mt. Everest, you can join in our 4 Days Everest tour. We will go to Shigatse first and obtain ATP permit to enter Everest region. Then we will head to Everest Base Camp. After seeing the stunning Everest, we will drive back to Shigatse. The last day we will go to Gyantse to see Pelkhor Monastery. After that, we will go back to Lhasa. And on the way, we will see Karola Glacier and Lake Yamdrok.